Demeanor: Very jumpy, erratic at times, seems to panic very easily around people. Coward would definitely be a word used to describe him. Nature: While certainly uncomfortable around people, he does like being around people he's used to and tends to become a bit of a chatter box if you get him talking about something he finds interest in. His morals can be questionable at times, but he always has a person's life and relative safety in mind. Description: Stephen is a rather thin man standing in at 5'10, probably a bit too thin honestly. He has floofy brown hair that falls in front of his face at times and black eyes. He needs thin glasses he can almost always be seen wearing. His usual outfit is a thin red jacket with a white shirt under it and slacks. Rebuff: 2. Stephen has learned a fair bit about the human body and how to deal with ailments to it in a timely manner. He may spend his turn to remove a minor debuff (Such as Unconsciousness or minor poison) or delay a more serious one. Usable Thrice per run. Don't Shoot I'm A Doctor In Training: 2. Stephen prefers not to fight, and when he is in a fight he focuses more on keeping himself and his teammates alive than actually shooting the enemy most of the time, leaving him better off than most when he tries not to get hurt. +2 Bonus to Resilience and Acrobatics until he makes an attack roll against an enemy. Once this bonus has been negated it is negated until the end of the run or event. STING: 4. The Surgical Therapy and Invasive Narcotic maGazine delivery system is the product of a few (Probably illegal) years of intensive work done by Stephen. It is a specially designed dart gun that shoots darts specially made to allow chemicals to be stored inside of them and release when skin has been penetrated. Unfortunately the design is limited by small dart sizes, reducing the overall effectiveness of the chemicals. The STING can be fired with a roll of 4df+4 and can deliver a few different forms of payloads, with a limit of 4 payloads per run. Temporary Enhancement Serum: The TES shot is made to be shot into friendly forces. TES increases a chosen stat by +2 for 1d4+1 rounds, but after it wears off they take a -2 penalty to that stat for half the amount of turns they were affected rounded up, with a minimum of 1 round. TES Shots cannot target stats from the Toughness, Charm, Intelligence, or Education stat categories. GLO Augmented Universial Survival Supplement(RESEARCH REQUIRED): The GAUSS Shot is made through research into GLO, allowing the user to attach a Symbiotic Mass that attaches itself to them and intercepts any attacks directed at the user until it is destroyed. When the GAUSS Shot is applied the target obtains 1d4+1 Temporary Hit Points that are damaged before the targets PHP is affected. A target currently affected by a GAUSS Shot cannot be the target of another until their original shot wears off. Once a GAUSS Shot Symbiote is destroyed by damage, the user takes half the amount of Temp HP obtained as MHP Damage(Rounding Up) The GAUSS Shot Symbiote can only sustain itself for 1 hour before expiring. 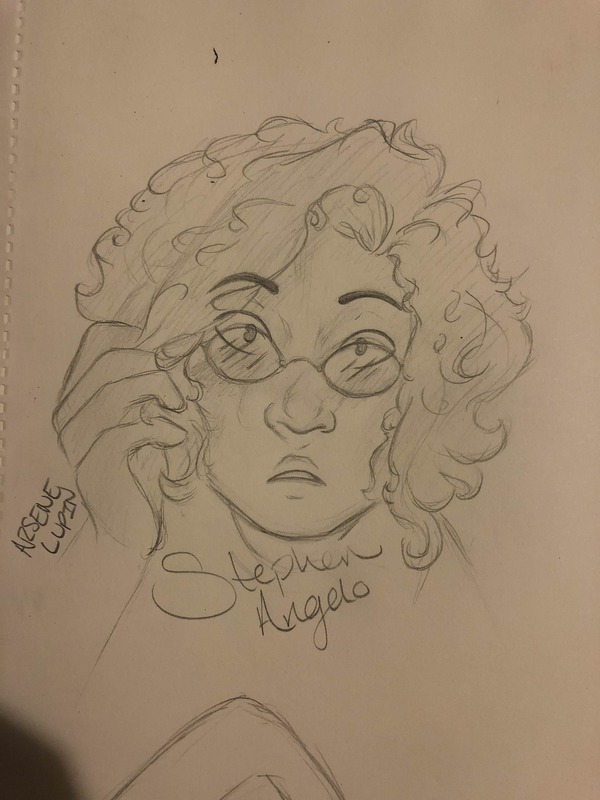 Stephen Angelo was born to a happy home to Victor and Opal Angelo in the year 1960. Even from a young age he had an interest in both medicine and science. Naturally as he got older his interest in these only grew and he began experimenting in things he probably shouldn't and assisted his father in his clinic. Once he graduated high school he had been working on various compounds and delivery methods for a few years now, but it was his time in college where he made the most advances. Through a steady supply of lab rats and time he managed to find a direction to his research in military grade serums and compounds to assist soldiers in the field. Eventually he tried to bring his findings to the military, but he was thankfully intercepted by The Foundation before he could present his very questionable work to someone who could get him in trouble. They were however very interested by his work and offered him a position as a Biochemist in Delta 4. Dart Pouch: While Dart Pouch is equipped, Stephen can hold an additional 3 darts, bringing his total to 7 darts per run.